They say a lot about the Maca root: aphrodisiac, stimulating, mysteriously! The multi-filtered vodka, the sun-ripened peaches and the intense aroma of the Maca root give Schürzenjäger the unique taste. The fruity Schürzenjäger liqueur is made in a traditional german distillery with the highest quality ingredients based on a secret recipe. 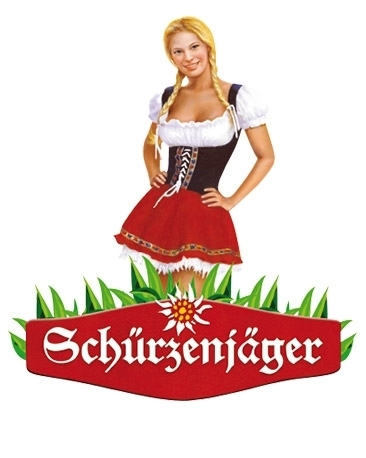 Schürzenjäger contains no artificial flavors, colors or preservatives. At the International Spirtis Award 2015 (ISW) in Germany, Schürzenjäger reached 87 out of 100 points. Schürzenjäger contains 20 % vol. and ist perfect as a shot or mixed drink. We only ship within Germany for the time beeing. Please contact us via email for orders within the EU! delicious liqueurs without artificial flavors, colors or preservatives. We only supply within Germany for the time beeing! The Strauss & Co. KG is represented by the general partner Philipp Strauss. Schürzenjäger contains no allergens according to Regulation (EU) No. 1169/2011 (LMIV).